Rise above the noise of everyday life and rest in the majesty and luxury of Waterfall Lodge. 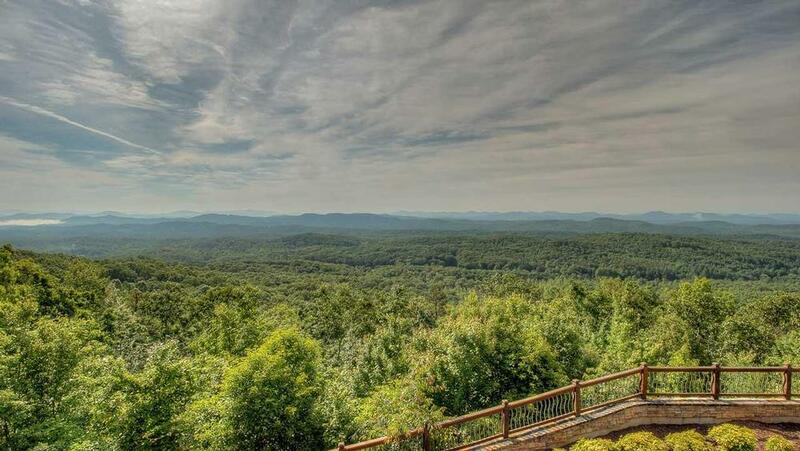 Here, there are more than 50 miles of unobstructed short and long-range Blue Ridge Mountain vistas that surround the home 180 degrees. There is no shortage of views as the day’s shifting light presents show-stopping displays against the mountain range that change hourly. Enjoy a spot at the outdoor gazebo or by the fire pit to take in this spectacle, the symphony of nature’s soothing sounds and the calm rush of water from the home’s beautiful waterfall feature. Sleeping up to 10 people comfortably, Waterfall Lodge is the perfect location for a family reunion, vacation or a well deserved luxury retreat. 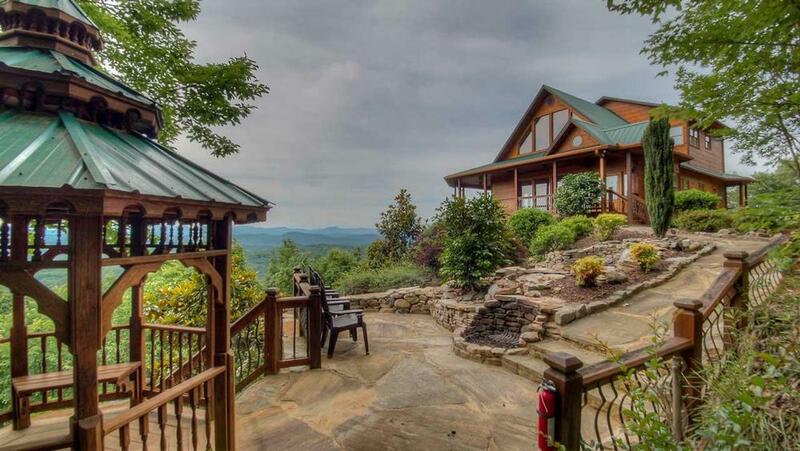 These mountaintop views can be enjoyed from the home’s massive living area with floor-to-ceiling windows or from its enormous wrap-around deck. The two spaces are connected by a panel of glass doors that slide on special tracks, opening to double their width and providing for a seamless flow from the great room to the outdoors. The kitchen is a gourmet's delight as no expense was spared on its features - from the ceramic cooktop oven with conventional and convection capabilities to on-demand hot water and granite counter tops. There are also many finishing touches including brand name appliances like Cuisinart, Caphalon, Whirlpool wine cooler and more. Just bring in the provisions and let your culinary creativity flow. Waterfall Lodge is designed to bring out the entertainer in you. Host a movie night downstairs in the media room and you can surround yourself with the state-of-the-art surround sound and 50" Plasma TV, gas fireplace, wet bar and refrigerator. Just steps away are the regulation billiards and table tennis tables. A top of the line hot tub is on this lower level deck for added privacy and unbeatable relaxation. When you are ready to retire for the evening, you and your guests can pick from custom-designed sleeping quarters outfitted with all the creature comforts. Luxurious bedding and decor abound in each room. 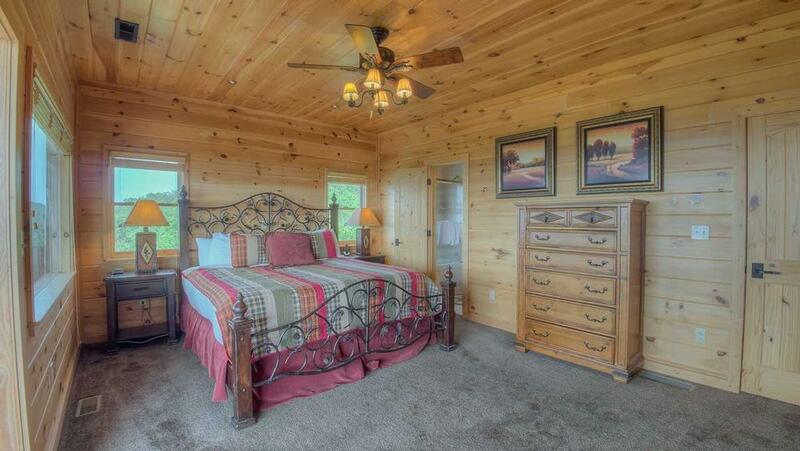 The master suite, on the main floor boasts rich wood tones in the furnishings and California King Bed. It has its own private, marbled master bathroom featuring a large whirlpool tub and separate dual head shower. 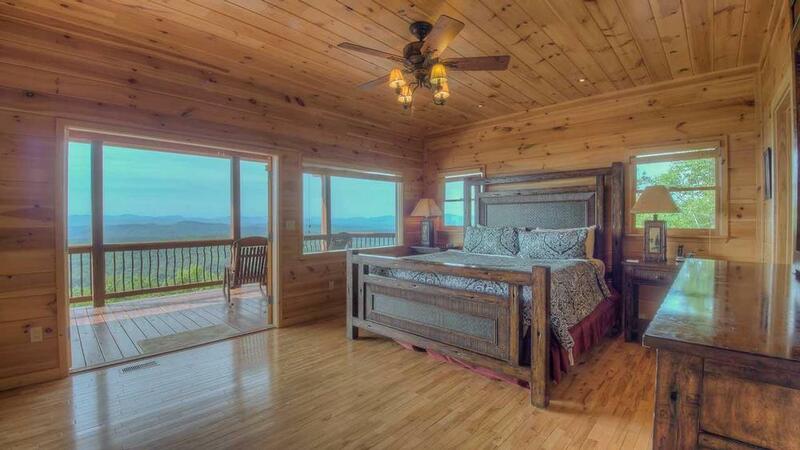 The second floor sleeping quarters offers another king bed and a private balcony overlooking the valley. An adjoining jack-and-jill bathroom connects with another bedroom offering a queen size bed. Details for the lower level bedroom deserve their own mention as its location is steps away from the game room and home theatre room. 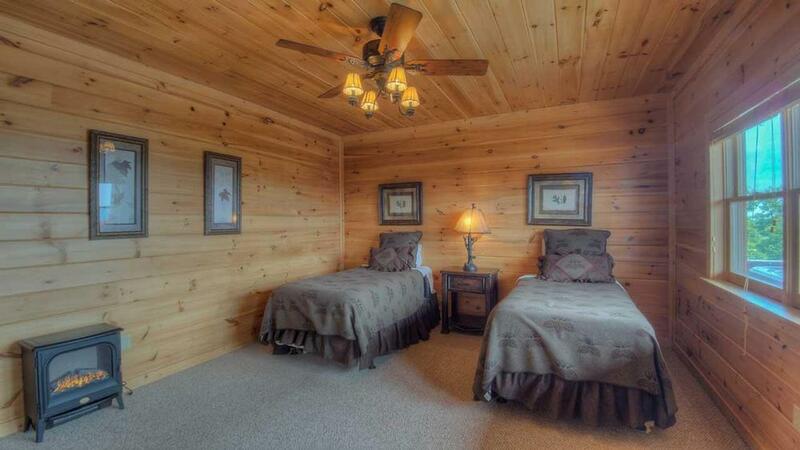 This room also has its own full luxurious bathroom and offers two twins that can easily convert to a king size bed. Waterfall Lodge is an exclusive home with executive level details and accommodations that are a must see. Enjoy its lavish comfort and tranquil setting and before the end of this vacation, you’ll likely begin planning for an encore experience. 02/19 - The cabin was gorgeous inside and out. The waterfall and wrap around porch really set the mood for our stay. Top notch service! From booking the reservation over the phone to the email correspondence I really felt like I was receiving the best service. 01/19 - Great location and amenities, comfortable and clean. Staff are helpful and provide excellent service. 10/18 - The cabin looks wonderful. It is very comfortable and has everything needed to enjoy your vacations. Very professional and courteous staff. Always happy to accommodate your requests. All the employees were awesome to work with. 06/18 - We loved EVERYTHING! All we needed was food. Everything else was provided. Wonderful company. Answered my many questions and were always cheerful. Will definitely use again. 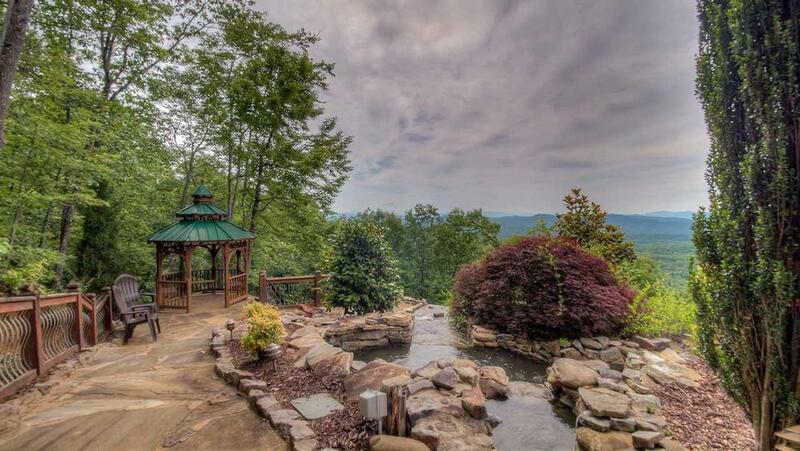 4/18 - The view from this home was beautiful, great location, private, quiet, waterfall was a nice touch. Great, professional, friendly staff. 2/18 - The view was incredible, the kitchen was wonderful and the bathrooms were wonderful as well. I love your company and I know what you all are capable of achieving to highly satisfy a customer. 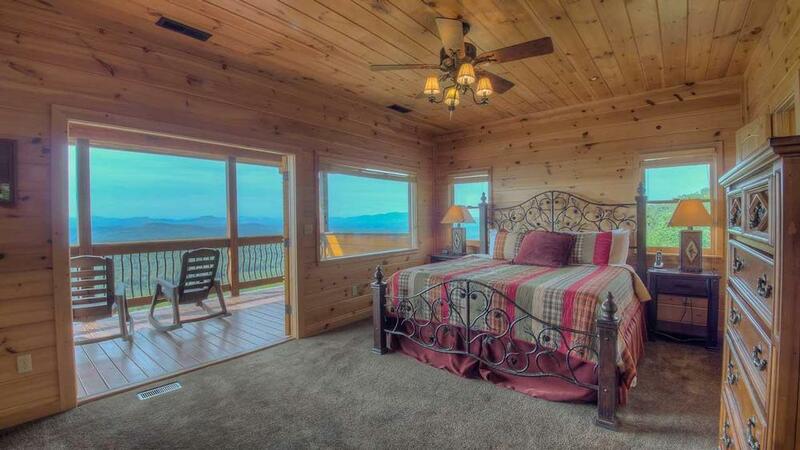 2/18 - Magnificent mountain views .Excellent company, the staff is efficient and very friendly. 08/17- The panoraramic views from the wrap around porch were phenomenal! Excellent company to rent from! 07/17- Enjoyed the location and the beautiful views. Great staff. Very attentive. 06/17- Beautiful landscape, nice people, quiet and peaceful. Beautiful place to come, will be back another time. 04/17- The cabin was very nice the views and waterfalls are lovely. 04/17- The views are amazing, specifically the sunrise and sunsets. The large windows on the main floor make enjoying the view easy throughout the day. The person I spoke with to make the reservation was great, very personable. Directions were easy, getting into the home was easy, everything about your company made it easy and we will definitely be visiting again soon. 04/17- The view is incredible! 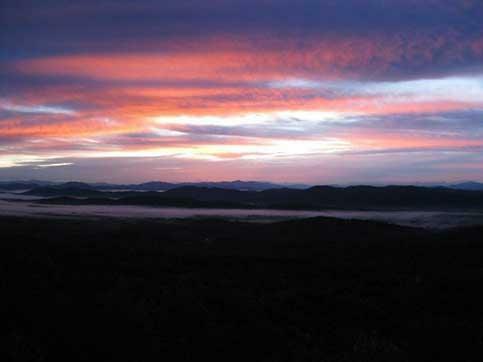 We've been to the Blue Ridge area a number of times but never have we had this type of vista. Very good company. Very responsive. 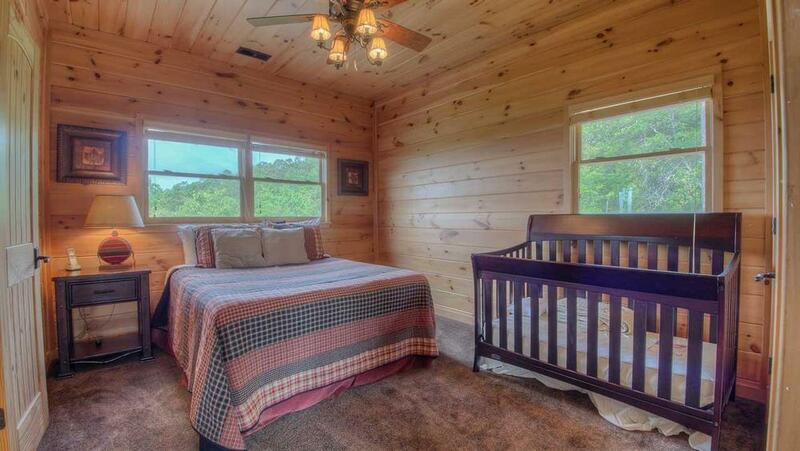 03/17- The view is the selling point of this cabin. Very friendly and responsive staff. 12/16- It is a lovely home but the view was the best feature. This was our third time renting from you this year and we will continue to rent from you next year. I have at least two trips planned and the houses picked out. The house was so clean and the cleaners had turned on the music station on the TV as a welcome. It was that small detail along with the friendliest people we talked to when reserving the cabin that makes me only go to the Escape to Blue Ridge web site. Thank you for contributing to our family's first Christmas away from home! 01/17- The home was warm, comfortable and just as beautiful as pictured online. 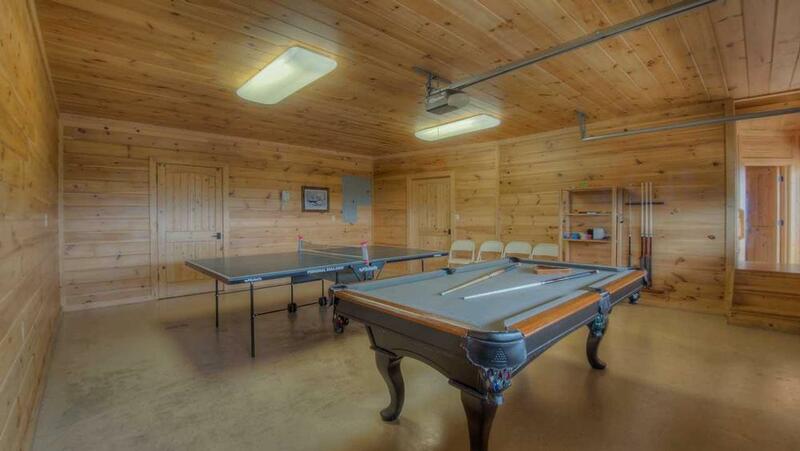 The game room with the pool table and table tennis was a huge hit! Professional staff, friendly and always helpful. 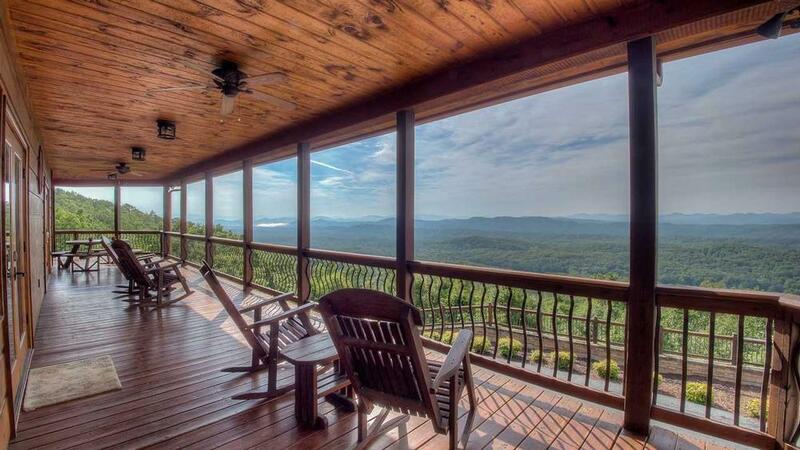 This was our 3rd year and 5th property rental using Escape to Blue Ridge. I really never consider using another management company when renting in the Blue Ridge area. 12/16- Waterfall Lodge is our favorite cabin! 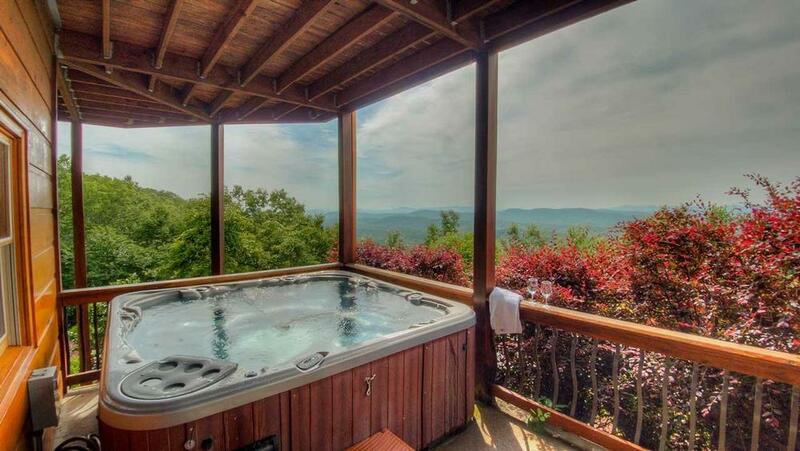 The layout, the big couch in front of a gas fire, the views, the hot tub, it's amazing. LOVE Escape to Blue Ridge! 12/16- We loved the view and the cabin was awesome. Excellent customer service, friendly staff. 11/16- The view was unreal, the home is decorated marvelously. We had the whole family, 10 in all and our fur babies, everyone had space and everything they needed. Wonderful experience.....Very impressed with Escape to Blue Ridge. 11/16- Beautiful view, only 3 cabins on mountain and you cannot see the other cabins! Excellent to rent from! This is our 4th time using EBR! 10/16- The cabin had beautiful views. We were very pleased with the whole process. 08/16- The view was as advertised and the bed was extremely comfortable. 07/16- The first thing that the lady said to me about this particular cabin was "The view there is SICK! ",and she was right! My kids were never board and even when i was doing the everyday jobs of a mother and wife, they were enjoyable and relaxing. We are already planning our next visit and will hopefully stay longer! Other tahn on the phone i didnt experience much of the staff but i suppose thats the point. I kind of like the fact that i didnt feel like i was a part of a corporation or buisness too much. They were friendly and got it done. Professional and yet personable. 07/16- Cabin was beautiful and roomy. The views are spectacular. 06/16- The view was exceptional, both morning and night. Waterfall Lodge has the feel of a custom built home, rather than a rental. Exceeded expectations. Escape to Blue Ridge was both friendly and professional. 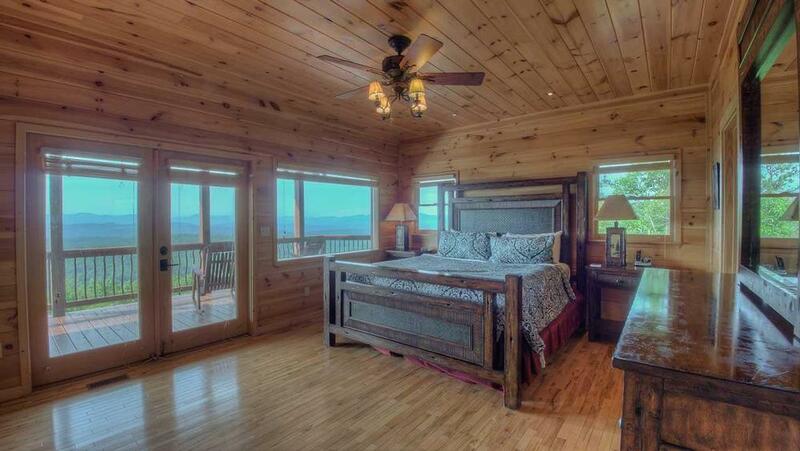 Would recommend services to anyone wanting to get-away in the Blue Ridge mountains. 05/16- This home was beautiful and the views spectacular. 03/16- Upon a late arrival Friday night first impressions were to be expected as the property as it was beautiful! The view was definitely astounding. The directions that were emailed by the staff we're exactly correct and easily to understand and follow. The space of the home was great for our group and suited everyone's needs. 04/16- The view and location. Great company, would not use any other. Great people! 03/16- Fabulous views -- can't be beat!! Comfortable beds and seating areas. 03/16- Waterfall Lodge was lovely, clean, and very relaxing. We appreciated every detail that went into making our time there feel like "home." You provided ample dishwashing detergent tablets and trash bags, which was very nice. The kitchen was well supplied with cooking utensils. We utilized the DirecTV movie channels and free Wifi daily. Our extended family enjoyed our stay very much and everyone voted to make this destination an annual trip. We have rented cabins through several different agencies in several different areas, but your company was by far the most helpful and courteous we have ever encountered. Your staff answered multiple questions about amenities before our arrival, ensured we had suitable bedding for our toddler grandson, and quickly resolved a small issue we had with the hot tub during our stay. We truly appreciate that we were left entirely alone unless we needed your assistance, and especially appreciate that we could arrive and depart without having to make time for paperwork at the rental office. Thank you for the attention you give every detail! 01/16- Very clean. Great location. 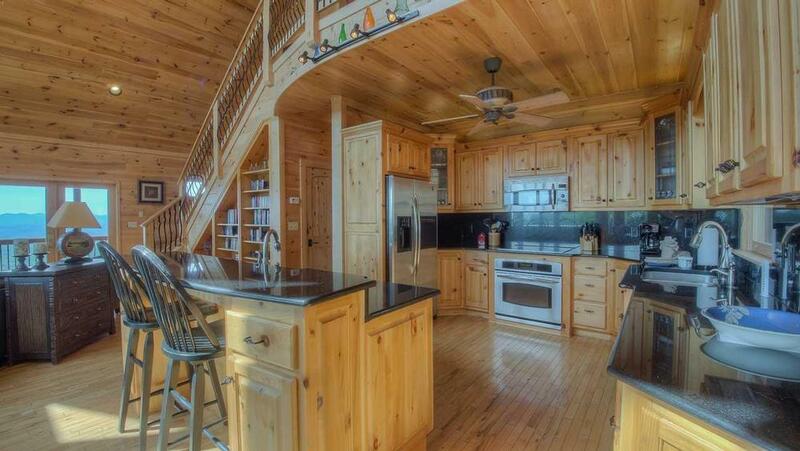 Well built cabin. Comfortable beds. 11/15- This is our fourth year renting Waterfall Lodge with friends. 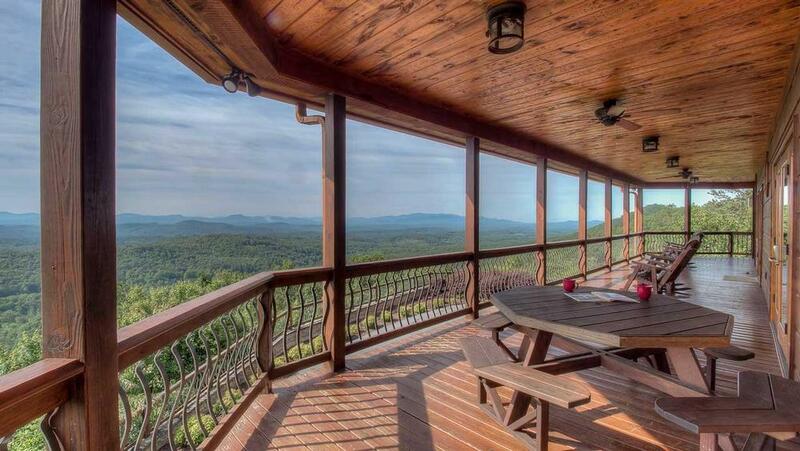 Our favorite part of the property is the amazing view! 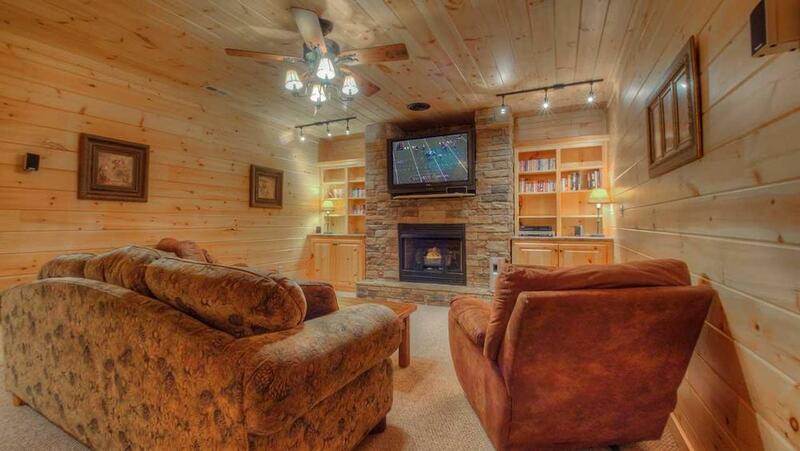 We love the wrap around porch, firepit, and the game room. I have always had a good impression of EBR. The staff is always professional and responsive to any questions. 10/15- The view is amazing. Awesome staff and service. We've been a customer since 2007. 10/15- The cabin was better then we imagined! Fully equipped with everything we needed, clean, and organized. Beautifully decorated and very cozy :) All around great experience! 10/15- Location is the best! 09/15- The views were the best we have had while visiting any of the cabins in this area. This was probabply the third time renting from Escape. This was probably the 3rd time we rented through Escape to Blue Ridge and everything went smoothly. 06/15- space and landscape are great! 05/15- Can't beat the view ! on top of the mountain far away from it all ! Kitchen was great, beds were very comfy, and hot tub was large and relaxing. 03/15- Oh yes the VIEW and the home was just SPECTACULAR ! The GAME ROOM was fun ! BY the weather being so fogged and rained THE WHOLE TIME we were but it was still awesome! 01/15- Our favorite features were the fireplaces since the weather was perfect. Always a great time! 12/14- The design and view were awesome. Loved the look of the cabin. 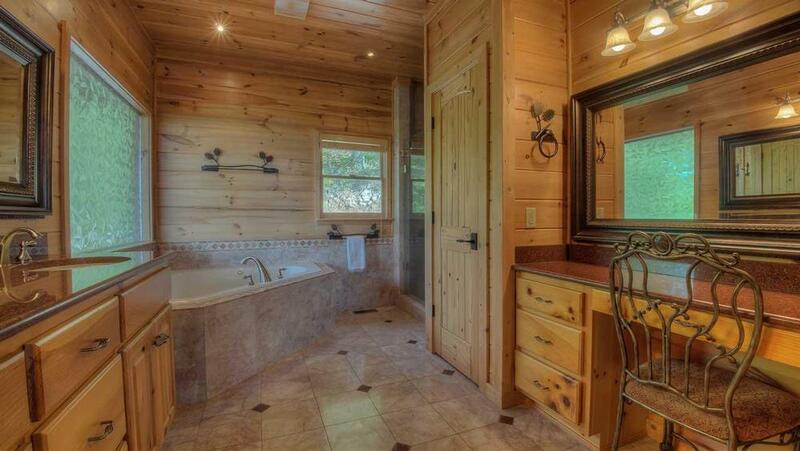 The master bathroom was excellent as well. 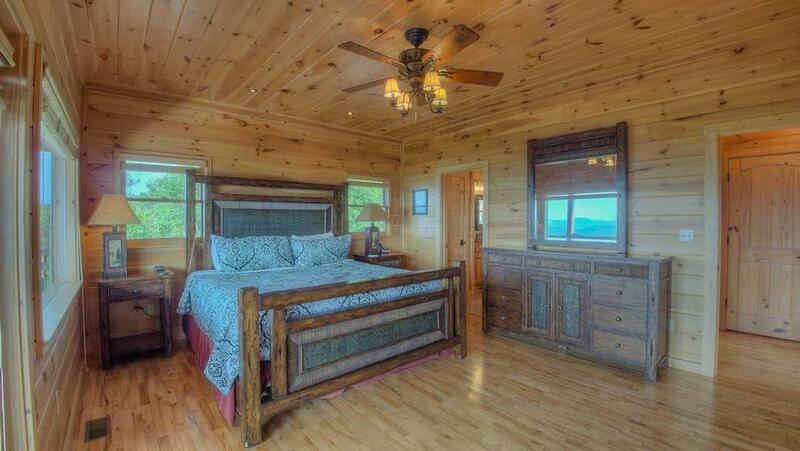 This cabin is a beautiful luxury cabin. I had a wonderful time and everyone was impressed that the cabin wasn't an old traditional standards cabin. 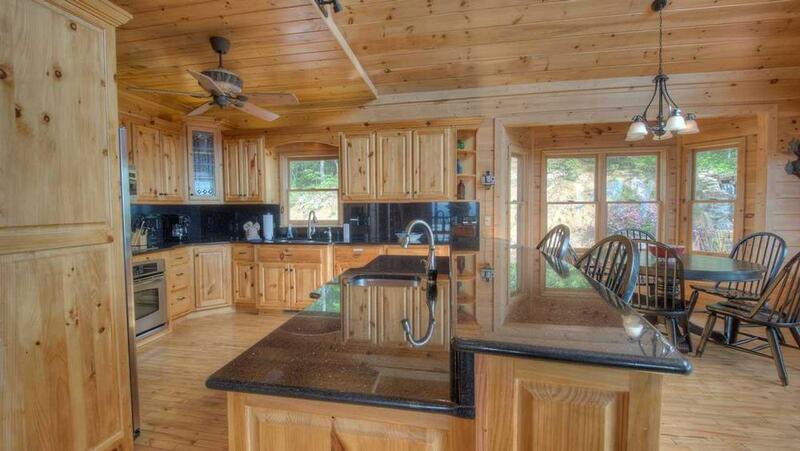 I will be making plans to visit this cabin annually and recommending this cabin to friends. I loved the fact that there was a book of activities as well. 11/14- Breathtaking view!!! Beautiful waterfall and gazebo!!! Loved the open kitchen and living room. 11/14- The view! It's truly one of the best and the reason we come back every year. We also like the privacy of this location. Space - we have a group of six and we all fit very comfortably. In addition, the cabin is very nice, it's a beautiful place. Overall I've been very impressed and happy with Escape to Blueridge. They're Very professional and courteous. The reservation, check in and check out processes are extremely easy and efficient! 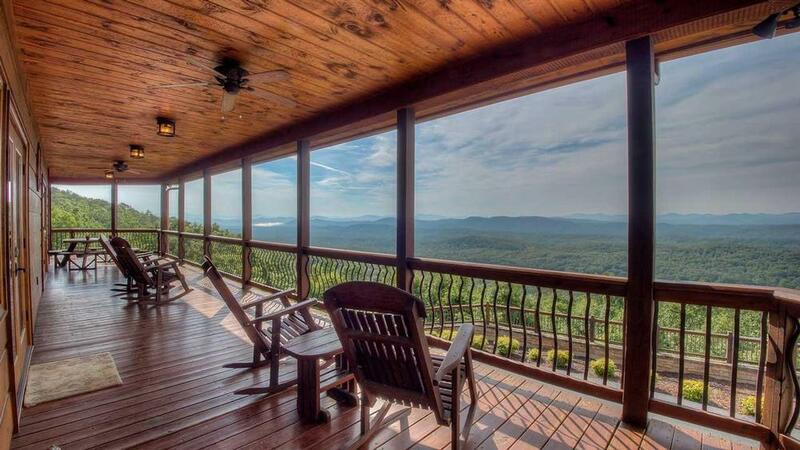 11/14- Great views and porches! Really easy to book, great cabin with amenities, and everyone I interacted with was super friendly! 10/14- The view, the waterfall, the house were awesome! 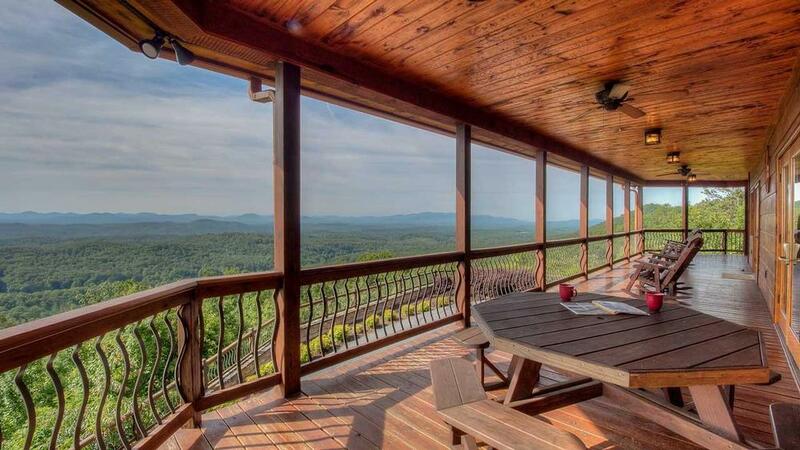 09/14- Our favorite features were the porches which provided the most amazing views of the Blue Ridge mountains. Upon arrival we all felt a sense of peace and relaxation come over us allowing us to leave the hectic daily grind behind. The seclusion was also very much appreciated. 09/14- Great view and a very nice cabin. 08/14- the views were incredible. I was speechless. I loved the scenery outside, from the gazebo to the waterfalls, it was perfect. Amazing. I have no complaints. I would recommend this company to anyone. 08/14- The view was unmatched. Loved the man-made waterfalls welcoming you to the home as you make the final turn up the road. 7/17/14-Waterfall Lodge was spectacular! Highly recommend as exceeded our expectations. Thr breathtaking veiw, being above the clouds. . . ah. Very tranquil and peaceful. Eat at Black Sheep too!! Yum. Everything was handled very well. Escape to Blue Ridge assisted setting up couple massages on balcony which was unbelievable to the senses.